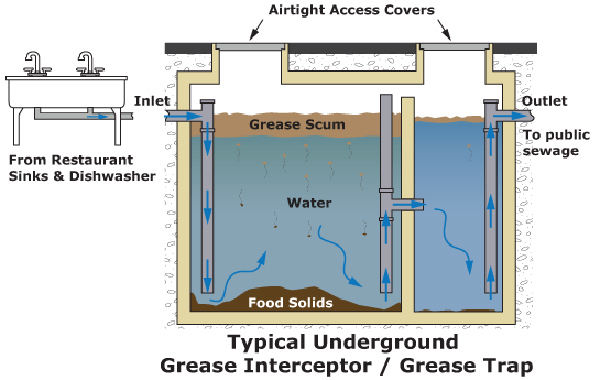 Our skilled team can cover your grease-trap maintenance requirements. If you own or operate a commercial kitchen, catering company or food processing plant, you’ll know the problems that can be caused by the build-up of fat, grease and oils in your drainage system. At PRO-JET Draincare, our fully certified specialists can deal with any grease-trap emergency or scheduled servicing requirement to help prevent costly system failures. Our services cover every aspect of grease-trap maintenance including the removal of heavy residues, the creation of an up-to-date service log, grease-trap compliance inspections, bacterial-additives assessment and implementation, as well as the preparation of detailed after-clean reports. Simply tell us what it is you need and our experts can take care of it.